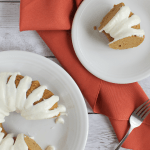 It’s a cinch to make Instant Pot pumpkin cheesecake! 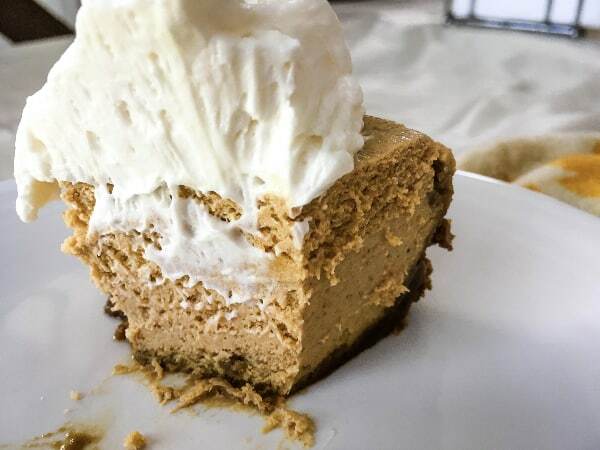 It’s easier and faster than baking a cheesecake in the oven, but the result is still creamy, dreamy pumpkin spice goodness! I know, I know. It’s a bit of a sacrilege. But textures matter a lot to me, and there’s something about the consistency of a pumpkin pie that I can’t get past. I mean, I can eat a slice, but it requires some mental fortitude. Because of this, it’s never my first choice dessert if there are other options. 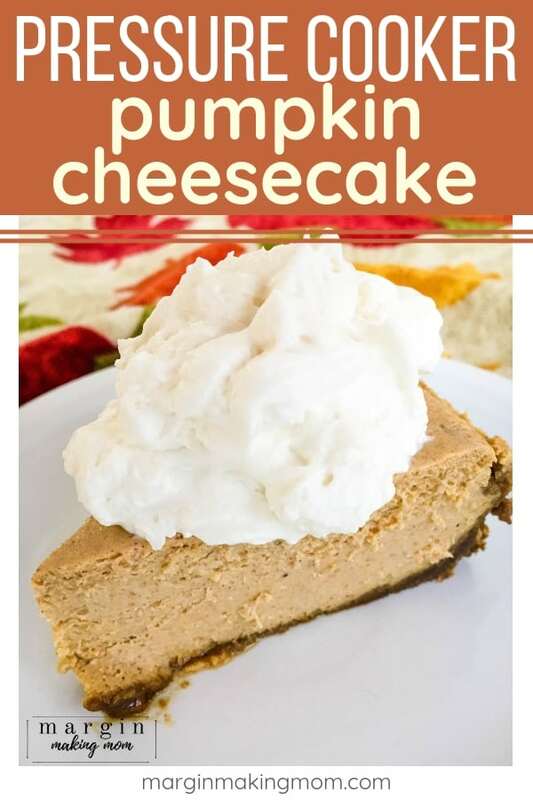 But pumpkin cheesecake? That’s something I can get behind. 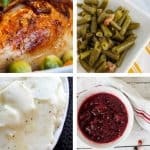 Especially when it’s super easy to make it in the Instant Pot! For a long time, I was on the fence about buying an Instant Pot. I used my slow cooker a lot, so I wasn’t really sure if I needed an Instant Pot. Would it just collect dust and take up room in my cabinets? Then I found out you could make a cheesecake in the pressure cooker. You see, I love cheesecake, but rarely actually baked them because it was a little time-intensive. So this idea of an Instant Pot cheesecake was intriguing. As soon as I found a killer deal on an Instant Pot, I snagged one. 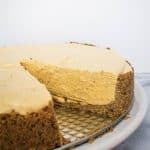 One of the first things I made in my Instant Pot was this classic cheesecake. And I haven’t looked back! 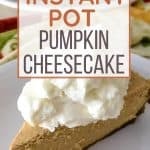 So with fall upon us now, I decided to make a pumpkin cheesecake in the Instant Pot. It’s so much easier and faster to use the pressure cooker for cheesecake as opposed to the oven. And, bonus–it frees up your oven for other things! This is especially important around the holidays, for family get-togethers and holiday dinners when you need to prepare ALL the things. 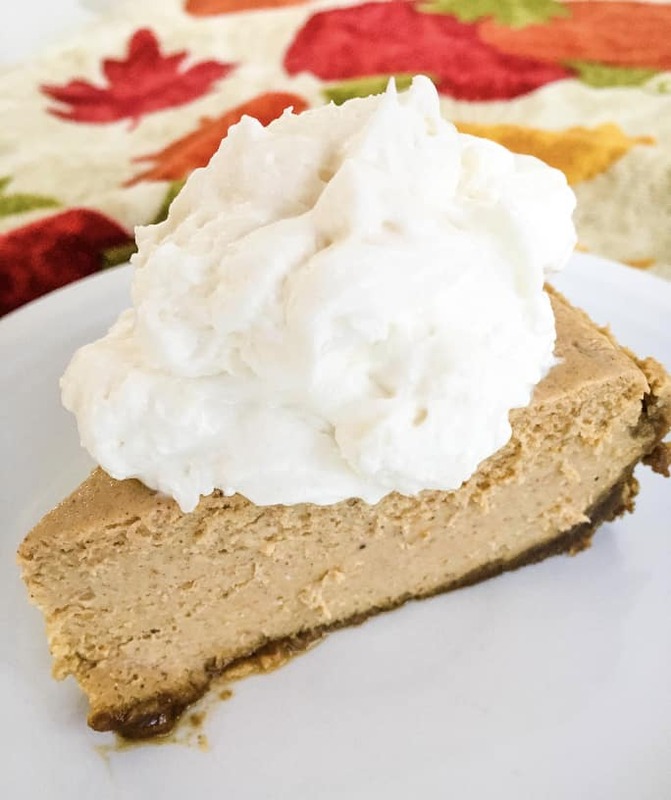 If you’re looking for an alternative to traditional pumpkin pie for your Thanksgiving dinner, give this Instant Pot pumpkin cheesecake a shot! First, you’ll prepare a crust. I used crushed gingersnaps as the base, but you could use graham crackers, cinnamon graham crackers, speculoos cookies–whatever floats your boat! Mix those crumbs with a little brown sugar and melted butter and press it into your pan. I use this 7-inch Fat Daddio cheesecake pan and it works great. Next, prepare the filling by mixing some softened cream cheese with white and brown sugars. Then you’ll add some pumpkin puree and some spices. After that, add a couple of eggs, one at a time, mixing well after each. Pour the batter into the pan. Add the trivet and some water to the insert pot and bring it to a boil. Once it’s boiling, use a foil sling to lower the pan into the insert pot. Cook the cheesecake for 23 minutes at high pressure, then allow a natural release. Cool to room temperature and then chill the cheesecake in the fridge for a few hours before serving. Then you can top it with whipped cream like I did, or drizzle on some caramel! Delish! If you prefer a crispier crust, you can bake the crust prior to adding the filling. Bake at 325F for about 15 minutes. I don’t do this step, but you’re welcome to if you prefer! Use room temperature ingredients. The cream cheese, eggs, and pumpkin puree should all be at room temp. Use a hand mixer if you have one, instead of a stand mixer. This allows you to avoid overbeating the ingredients a bit easier. Don’t overmix. Just mix until ingredients are combined well and the mixture is smooth. Allow the water in the insert pot to come to a boil before placing the pan into the insert pot. This helps to avoid excess condensation and dents on the top surface of the cheesecake. Avoid letting the foil sling hang over the top of the cheesecake if possible. Try to tuck the foil down on the sides so condensation won’t be dripping down onto the cheesecake. Open the lid very slowly after cooking to avoid cracking. 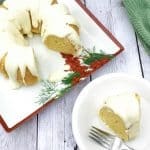 You can find more tips for making perfect instant pot cheesecakes here. Combine gingersnap crumbs, brown sugar, and melted butter. 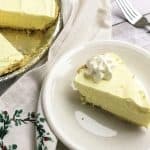 Press into the bottom and about 1 inch up the sides of a cheesecake pan that will fit in your Instant Pot (I use a 7-inch pan in my 6-qt Instant Pot). If you desire a more crispy crust, bake at 325F for about 10-15 minutes, then allow to cool. In a medium-large mixing bowl, combine cream cheese and both sugars. Use an electric hand mixer to beat together until combined. Add pumpkin puree and spices, mixing well until combined. Place the trivet into the insert pot of an Instant Pot. Pour in 1 cup of water into the insert pot. Press the Saute button to allow the water to begin to boil. Once water is boiling, use a foil sling to lower cheesecake pan into the insert pot, so it is sitting on the trivet. Tuck excess foil down into the sides of the pan, trying not to allow them to hang over the cheesecake. Close lid and set the vent to the sealed position. Press Cancel to turn off the Saute function, then use the Manual/Pressure Cook function to select a 23 minute cook time at high pressure. Once cook time is complete, allow a natural pressure release (this took about 9 minutes for mine). After pressure has released and the valve has dropped, carefully open lid, trying not to drip excess condensation onto the top of the cheesecake. Use a paper towel to carefully blot any liquid on the top of the cheesecake. Use the foil sling to remove the cheesecake. Allow to cool to room temperature, then cover with plastic wrap and refrigerate for at least 4 hours prior to serving. 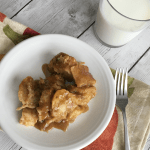 Serve topped with whipped cream, pecans, or caramel sauce if desired!